Elizabeth Tasker is an associate professor at the Japan Aerospace Exploration Agency (JAXA), Institute of Space and Astronautical Sciences (ISAS). Her research uses computer models to explore the formation of planets and galaxies. She is particularly interested in how different the environment might be on rocky planets that are the same size as the Earth. Are they likely to be similar to our planet? Or are hot lead-melting surfaces such as that on Venus more common? She is also interested in how young planets change their orbits, maybe forming a long way from where they eventually end up. Elizabeth frequently writes for the media, principally on exoplanets and space missions, but her articles have also covered topics from star tables in ancient Egypt to deep sea drilling for the cause of earthquakes! Her popular science book, the Planet Factory, on planet formation and exoplanets was published in Autumn 2017. She is also a writer for the NASA NExSS “Many Worlds” column and helps with the global outreach for several Japanese space missions, including the asteroid explorer, Hayabusa2. Elizabeth completed a degree in theoretical physics at the University of Durham in the UK, before moving to the University of Oxford for her doctorate in astrophysics. She was a researcher in the USA and Canada, before moving to Japan to take up a faculty position at Hokkaido University in Sapporo. She moved to JAXA in 2016. 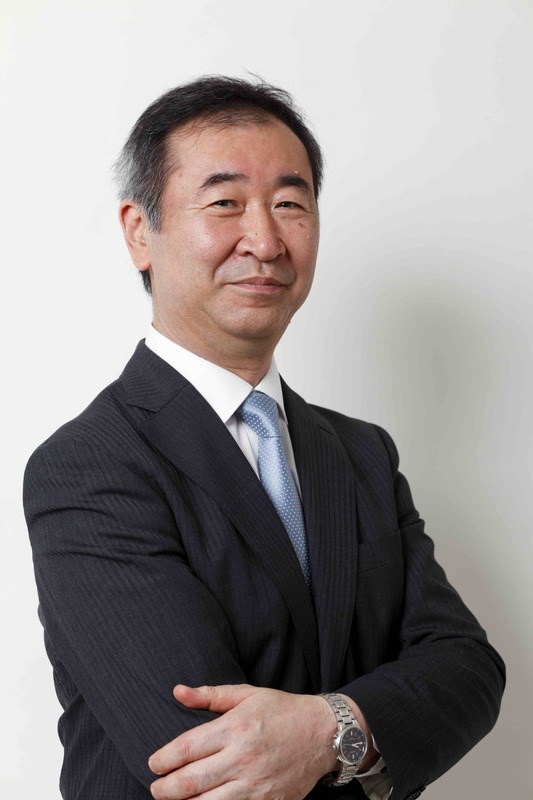 Takaaki Kajita was born in Higashimatsuyama, Saitama, Japan. He studied at Saitama University and received his Ph.D. degree from The University of Tokyo, School of Science in 1986. His doctoral advisor was the future Nobel Laureate Masatoshi Koshiba. He has been researching at Kamiokande and Super-Kamiokande detectors at the Kamioka Observatory in central Japan. In the Super-Kamiokande detector - an experimental facility in a mine in Japan, Takaaki Kajita studied neutrinos created in reactions between cosmic rays and the Earth's atmosphere. Measurements showed deviations, which were explained by the neutrinos switching between the different types. This means that they must have mass. In 1998 at the Neutrino International Conference held in Takayama, Gifu, he showed the analysis results which provided strong evidence for atmospheric neutrino oscillations. Currently, Takaaki Kajita is the Special University Professor at The University of Tokyo, as well as the Director of the Institute for Cosmic Ray Research (ICRR) of The University of Tokyo. He is also the project leader of Kamioka Gravitational wave detector (KAGRA ) - a project of the gravitational wave studies. In 2015 he shared the Nobel Prize in Physics for his role in discovering neutrino oscillations which shows that neutrinos have mass. Recent astronomical research, space research, laboratory research and numerical simulations have brought a wealth of new and exciting findings on extra-solar planetary systems and on asteroids, comets, meteoroids in our solar system. This year BSD guest speaker - Akiko Nakamura, born and raised in in a small town of Shikoku – one of the most beautiful Japanese islands is an Associate professor at the Department of Planetology from Graduate School of Science - Kobe University. After obtaining her Doctor of Science degree from Kyoto University, she became a Research Associate at the Institute of Space and Astronautical Science (ISAS) before she moved to the Graduate School of Science - Kobe University. in the solar system, she performed laboratory impact experiments in order to study velocity distribution of fragments from collisional disruption and ejecta from particulate layer. These experiments provide insights into collisional evolution of small solar system bodies and regolith formation processes on their surface. The asteroid from the asteroid belt discovered on September 17, 1998 - actually Asteroid 23895 Akikonakamura, at the Lowell Observatory Near-Earth-Object Search (LONEOS) - Anderson Mesa Station, Arizona, USA was named after her. She joined space missions of ISAS and she was a member of the science team and of the orbiter camera team of the Hayabusa mission - the unmanned spacecraft developed by the Japan Aerospace Exploration Agency (JAXA) to return a sample of material from a small near-Earth asteroid named 25143 Itokawa to Earth for further analysis. She was responsible of estimating the surface properties of the target asteroid, for example, the roughness and the light-reflectance based on limited information taken from the ground. In 2005, Hayabusa spacecraft arrived at a 300-meter wide asteroid Itokawa and revealed its face. It was far beyond what was expected, which was a great surprise but really a pleasure for her. She is also the Vice President of Space and Planetary Science Section of Japan Geoscience Union (JpGU) and a member of the Japanese Society for Planetary Science, Astronomical Society of Japan and International Astronomical Union (IAU). Born in 1970 in Matsudo City, Chiba, Naoko Yamazki graduated from the University of Tokyo with a bachelor's degree in Aerospace Engineering in 1993 and a master's degree in Aerospace Engineering in 1996. Soon after in 1996, Yamazaki joined the National Space Development Agency of Japan (NASDA, currently Japan Aerospace Exploration Agency) and was involved in the Japanese Experiment Module (JEM) system integration (developmental duty). She also worked on failure analysis and development of JEM assembly/initial operation procedures in the JEM Project Team. Between June 1998 to March 2000, Yamazaki was involved in development of the ISS Centrifuge (life science experiment facility) and conducted conceptual framework and preliminary design in the Centrifuge Project Team. It was then, in February 1999, that Yamazaki was selected by NASDA as one of three Japanese astronaut candidates for the International Space Station (ISS) together with Dr. Satoshi Furukawa and Akihiko Hoshide. Yamazaki started NASDA's Basic Training program in April and was finally certified as an astronaut in September 2001. From 2001, she participated in ISS Advanced Training, while working on development of the hardware and operation of the Kibo modules and the Centrifuge. In May 2004, Yamazaki was certified as a Soyuz-TMA Flight Engineer. She was dispatched to NASA's Johnson Space Center (JSC) in June 2004. She went through training (Astronaut Candidate Training) at JSC for about a year and eight months, and was qualified for flight assignments aboard the space shuttle as a Mission Specialist (MS) in Feb, 2006. In November 2008, she was assigned as a crew member for the STS-131 (19A) mission. In March 2010, she flew to the ISS aboard the space shuttle Discovery (STS-131). During the mission, she supported the mission's primary tasks by operating the Shuttle Remote Manipulator System (SRMS) and the Space Station Remote Manipulator System (SSRMS). 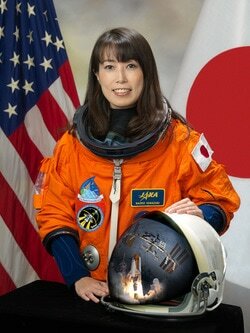 She also orchestrated cargo transfer activities between the space shuttle and the ISS as a loadmaster of the mission.From December 2010, Yamazaki resumed her study in the field of aerospace engineering at the University of Tokyo. In August 2011, she retired from JAXA. Reiko Kuroda is a Professor at Tokyo University of Science/ Professor Emeritus at The University of Tokyo. After obtaining her Ph.D. in chemistry from The University of Tokyo, she worked first as a postdoctoral Research associate in the Department of Chemistry and then Research Fellow/Honorary Lecturer in the Department of Biophysics at King’s College London. She then obtained a permanent senior staff scientist position at Institute of Cancer Research, UK. She now investigates chirality (left and right handedness) from molecules to crystals in the non-biological domain, and from genes to individual living organisms in the biological domains, with a view to linking microscopic and macroscopic worlds through chirality. Specifically, she studies chiral discrimination, generation and enhancement in the solid state as well as mechanism of snail coiling which is determined by a single gene locus. She has designed/constructed novel chiroptical spectrophotometers, and with them studied a variety of samples in the condensed phase including organic/inorganic compounds as well as biological samples such as beta-amyloids. She was awarded many prizes including The Commendation for Science and Technology by the Minister of Education, Culture, Sports, Science and Technology (2009), L’Oreal UNESCO Women in Science (2013), Prime Minister's Commendation for Efforts toward the Formation of a Gender-Equal Society (2014) and Academia Prize, The Academic Society of Japan (2015). She is a foreign member of the Royal Swedish Academy of Sciences. In parallel to her scientific research, she has been involved in science policy, science communication and capacity building. She was the vice president of International Council for Science (ICSU, 2008-2011), a member of the Council of Science and Technology Policy (CSTP), Cabinet office of Japanese Government (2001-2007), and is now a member of Scientific Advisory Board to the United Nations Secretary General on global sustainability (2013- ). She was elected as a Fellow of TWAS (The World Academy of Science) in 2014. She has founded a campus-wide minor-degree graduate course on science interpretation at The University of Tokyo. Former student of Seisen International School and a graduate of Harvard and Showa University of Medicine. Currently she works at the Department of Psychosocial Medicine for the National Centre for Child Health and Development in Japan. Graduate of University of California and Massachusetts Institute of Technology (MIT), as well as winner of a couple of prizes from MIT, Thomas McHugh is currently residing in Japan working as the laboratory head at RIKEN Brain Science Institute, Lab. For Circuit & Behavioral Physiology. An associate professor of the Institute of Advanced Biomedical Engineering and Science at Tokyo Women's Medical University, he specialises in many areas including Cardiology, Stem Cell Biology and Regenerative Medicine.